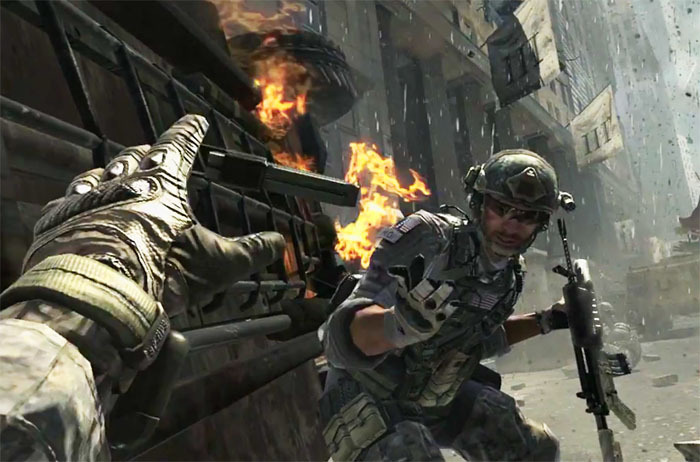 The Modern Warfare 3 trailer is now out, first broadcast during the NBA Western Conference Finals game 4 on May 23, 2011. Notice the clever flip of the logo letters above. MW3 becomes WW3– World War 3. Call of Duty: Modern Warfare 3. Available for PC, Xbox 360, and PS3 November 8th, 2011.